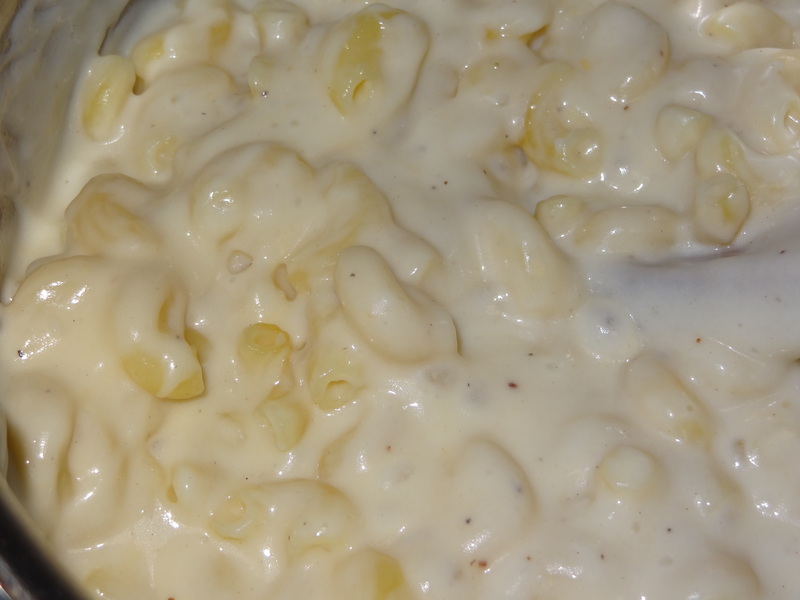 My girls just love my macaroni and cheese. 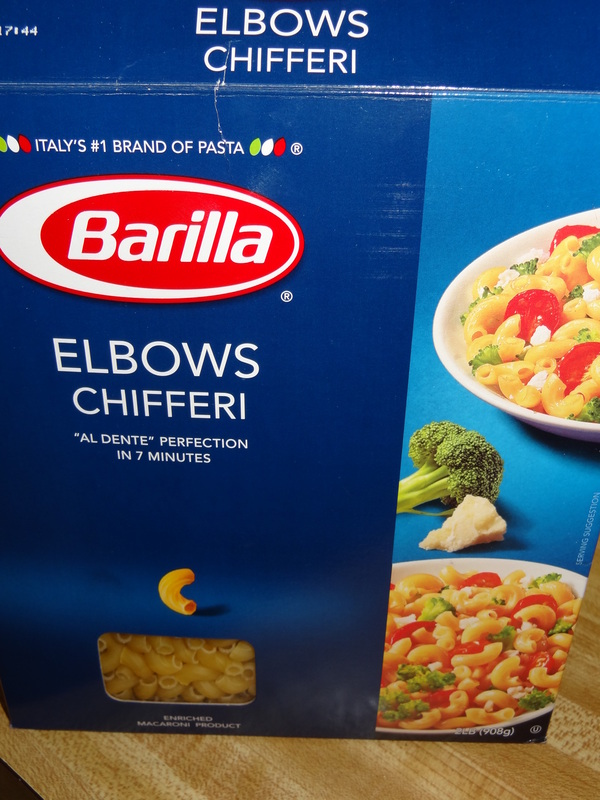 Tasty and just perfect when just made. Let’s go ahead and start making the recipe step by step. 2. 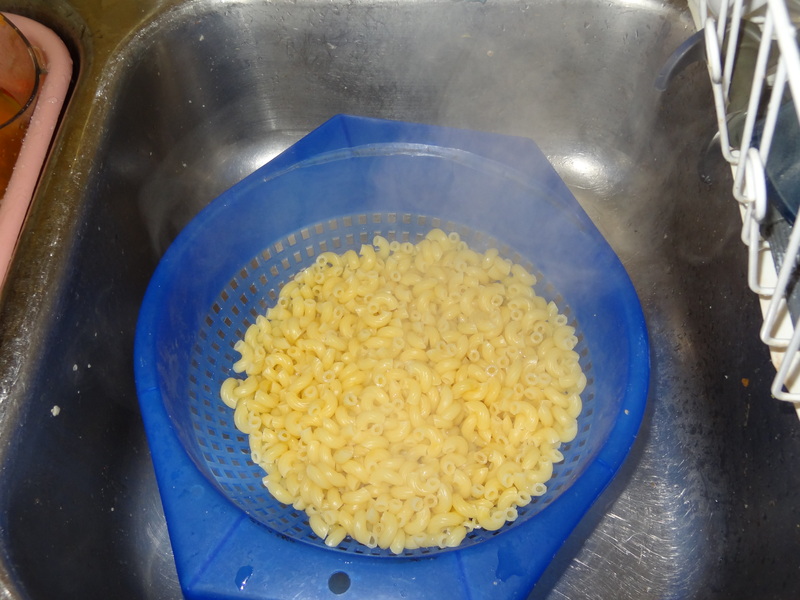 Once al dente, drain. 3. 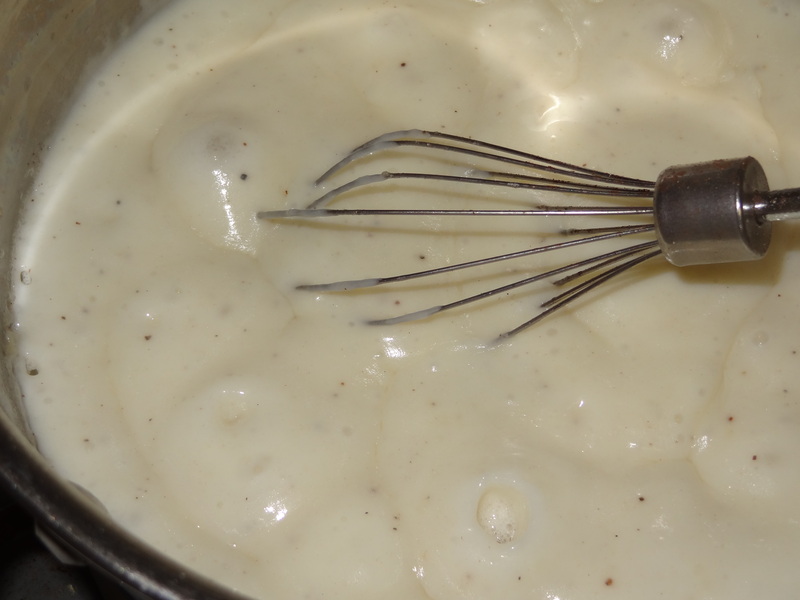 To prepare white sauce, melt 4 tablespoons of butter. 4. 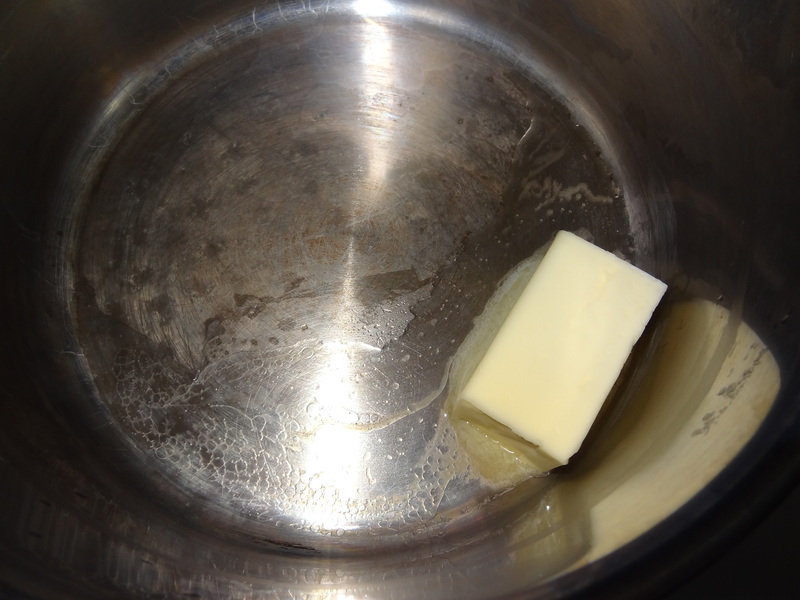 When melted add 4 tablespoons of white flour. Mix. 5. Add 2 cups of milk ( i used 1 % milk). This is the tricky part. 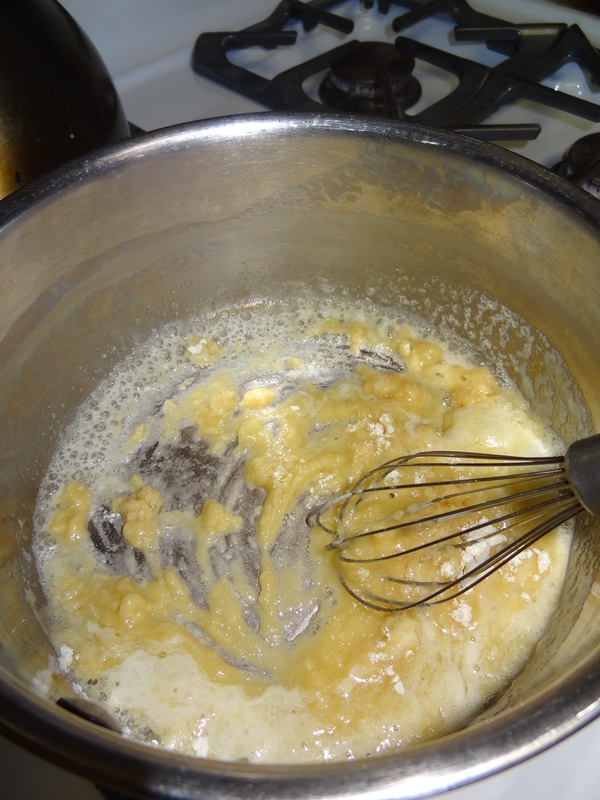 Add milk and mix at the same time to void lumps. Add little by little all the milk. Mix until your white sauce thickens. Add salt, pepper and nutmeg. 6. 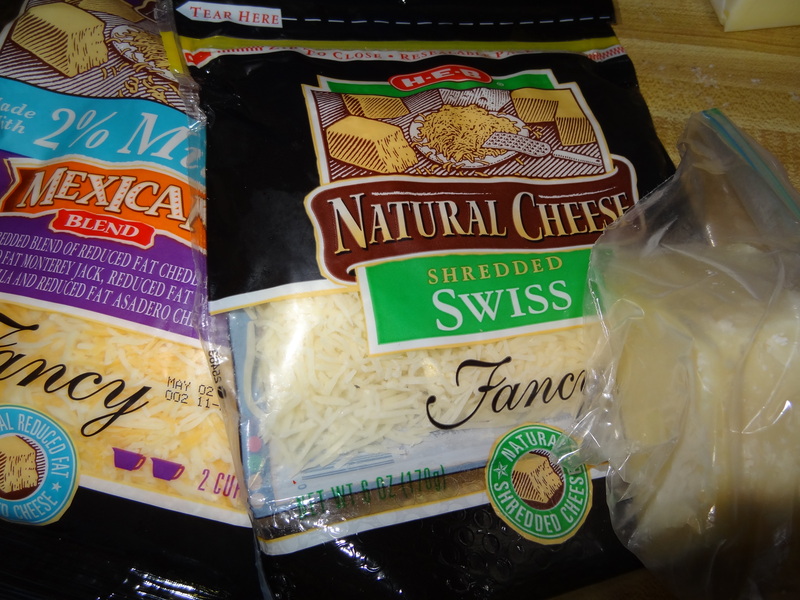 Add cheese I use Mxican 2 % (you can use cheddar), swiss and romano cheese. 7. Add noodles and mix. taste to see if there is enough salt and pepper.